Wimbleton who won 10 England schoolboy caps, began his career at Portsmouth as an apprentice. He signed a full contract in February 1982. He sustained a knee injury the following season which hampered his progress and after 10 league outings he was released in 1984. Such was the seriousness and recovery period of the injury that he didn’t feature again until singing for Cardiff City in August 1986. Fully fit again, Wimbleton proved his worth by being an ever present in his first season with the club. He helped Cardiff gain promotion, win the Welsh Cup and was named in the P.F.A. Team Player of the Year, as well as becoming Cardiff City’s Player of the Year. 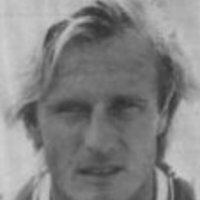 After playing 119 league games and scoring 17 goals for Cardiff, Wimbleton moved to Bristol City in May 1989, but was to play in only 16 games,s coring two goals. He signed for Shrewsbury Town in January 1990 staying there for 12 months adding one goal and 35 league outings. Moving to Maidstone United in January 1991, he played just 2 league matches, and scored one goal. 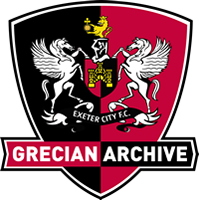 Exeter City signed Wimbleton in September 1991, and he missed few games during his stay at St James’ Park, his debut being against Huddersfield Town. 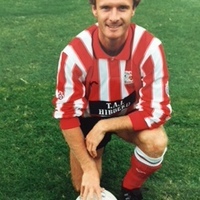 His next move was to Swansea City in August 1992, but he was to stay there for just one season, making 15 league appearances and netting one goal. 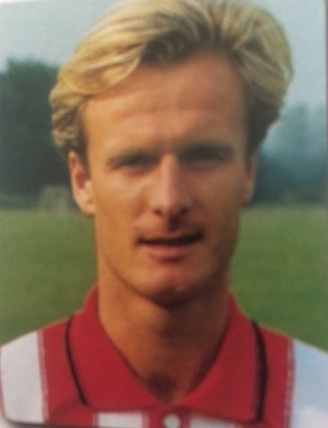 He joined Barry Town in the summer of 1993 where he helped them win the Welsh Cup, before moving to South Africa where he played for Cape Town Spurs in 1994-95. The following season he went to play in the Hong Kong for Sing Tao Sing. 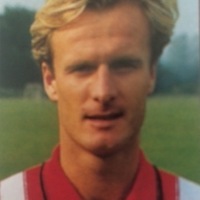 He was transferred to Kui Tan at the end of the 1995–1996 season. 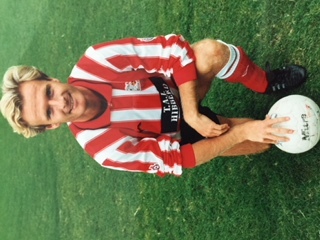 In the 1995–1996 season Wimbleton also played for Cork City. In the summer 1997 he signed for Foshan in the Chinese first Division. At the end of the season Wimbleton moved again, this time playing for Merthyr Tydfil. In 1998-99 he played for the Delaware Wizards and Hampton Roads Mariners in the 'A' League in the United States. In 1998 Wimbleton also started his own soccer coaching business, Three Lions Soccer Academy, in New Jersey, United States.